An instant success in its own time, Daniel Defoe's The Adventures of Robinson Crusoe has for three centuries drawn readers to its archetypal hero, the man surviving alone on an island. This Companion begins by studying the eighteenth-century literary, historical and cultural contexts of Defoe's novel, exploring the reasons for its immense popularity in Britain and in its colonies in America and in the wider European world. 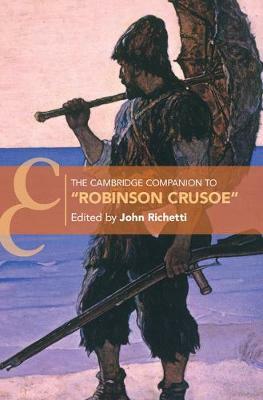 Chapters from leading scholars discuss the social, economic and political dimensions of Crusoe's island story before examining the 'after life' of Robinson Crusoe, from the book's multitudinous translations to its cultural migrations and transformations into other media such as film and television. By considering Defoe's seminal work from a variety of critical perspectives, this book provides a full understanding of the perennial fascination with, and the enduring legacy of, both the book and its iconic hero.